Students in K5-12th grade participate in many community and class mission projects. The elementary classes participate in community outreach to local fire departments, the elderly, and nearby neighbors. The middle school oversees three projects: 6th grade: House of Hope; 7th grade: Raleigh Rescue Mission Food Drive; and 8th grade: Operation Christmas Child. To date, our current high school students have performed over 18,000 hours of community service in a multitude of organizations across the local community. In 2016/2017, NRCA conducted trips to China, Costa Rica, and Islamorada, Florida. These three trips gave NRCA the ability to take over 60 High School students on a particular missions trip. All of our graduated seniors participated in a mission trip. In addition, our current high school students have served on mission trips, traveling to 17 states plus Washington, D.C. and to over 25 countries around the globe. Students are being trained as small group leaders for chapels as well as praise and worship leaders. The 2016/2017 student body of 1,279 students represents over 184 churches within the community. The top 10 churches in order by student enrollment are: Crossroads Fellowship, Bay Leaf Baptist Church, Richland Creek Community Church, The Summit Church, Journey Church, Providence Baptist Church, Lifepointe Church, North Raleigh United Methodist Church, Hope Lutheran Church, Trinity Baptist Church. NRCA employs a Student Life Director who serves in the capacity of a youth pastor on campus. He oversees the chapel services and speakers, school mission trips, community service, student leadership training, Small Group leaders, Middle School Leadership Conference, High School Leadership Conference, Student Council, and Spiritual Emphasis Week. Our speaker for the 2016 Spiritual Emphasis Week was Austin Rammell, a highly sought-after youth and college speaker as well as Pastor of Venture Church in Charlotte, NC. Our theme for the year was “Knowing Christ”. Austin’s messages taught students through the book of Genesis and God’s relationship and covenant with Abraham. God’s love for His children should compell and propell us into a life dedicated to Him. The evening sessions were attended by students on Monday night and Tuesday night, with over 500 in total student and adult attendance each night. Daily sessions of worship in song, led by an NRCA alumnus, Chad Lister, and a message by Austin were held Monday – Wednesday of that week for both the middle and high school students. Spiritual Emphasis Week was concluded on Thursday with High School students leading small groups of discussion to talk about what God did in the hearts and lives of the students. Many students made commitments that week to live their lives pleasing to the Lord. It is truly NRCA’s desire to produce Godly leaders on our campus. To help in this process, we have developed two leadership conferences specific to our needs and circumstances. 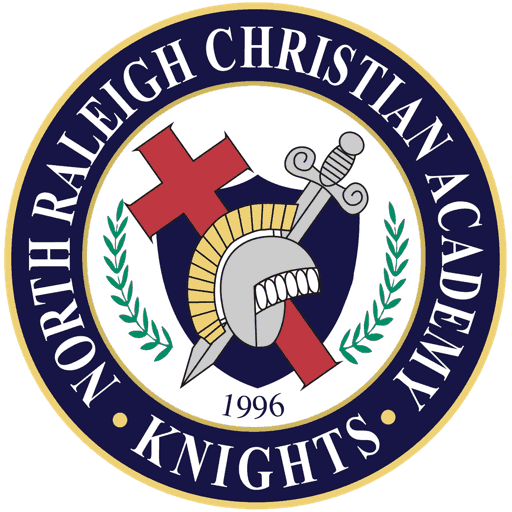 NRCA’s Leadership Conferences began in 2004 with our first Middle School conference. Since then, NRCA has opened the conference up for other schools to join. Every year we have had the incredible opportunity to not only develop leaders in our school, but in other Christian schools as well. Some of the topics and themes in the past have been, “Leading From The Inside Out”, “Conspiracy Theory: Knowing your Real Identity”, and “The Amazing Race”. Throughout the two day conference, students sit in on teaching, participate in corporate worship, go through a ropes course, and work on team building and problem solving skills, including an amazing scavenger hunt. This past year, six ACSI schools with almost 100 students participated in the middle school leadership conference. NRCA started to develop its own High School Leadership Conference in 2007. This conference is exclusive to NRCA as it is designed specifically for our students. Ten percent of our high school student body is selected to go off campus to a retreat center for two days. Throughout the retreat, students participate in worship, teaching, high ropes course, problem solving, team building, and small groups. Not only do students come back from the retreat stronger leaders, but as small group leaders as well. Leadership students lead a small group of nine or ten of their peers. These small groups meet regularly after chapel series and on their own. Small group leaders are being trained to do real “life on life” ministry. NRCA opened an additional High School Leadership retreat up to district schools. After many requests, we made our student leadership program available to others and share the great things God has done here to impact students around the country. For this retreat, NRCA is providing breakout speakers on leadership, influence, ethics, and apologetics. This leadership conference should equip schools with well rounded, and well equipped student leaders. This retreat was also available for a number of NRCA students who did not attend the small group leadership retreat.